Shown in 18k Yellow Gold, each band is set with 16 1.25mm Round Brilliant Cut diamonds. Total weight 0.2cts. 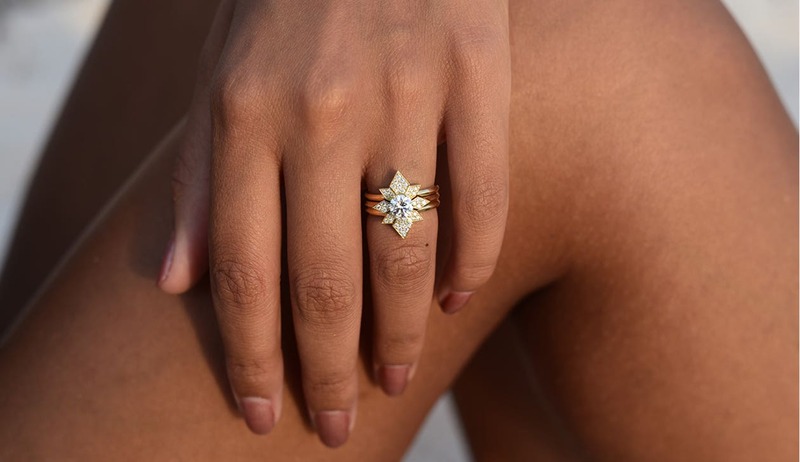 The Amara Wedding Bands fits perfectly either side of the Dahlia Engagement Ring.